Click for the 2016 election results. 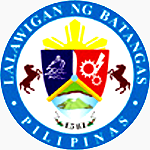 Below is a listing of all Mayors and Vice-Mayors in the Province of Batangas as per the results of the City/Municipality elections held in 2013. Terms expire on May 2016 when new local elections are held to determine new sets of local government officials for cities and municipalities all around the Philippines. The contents of the listing below have been culled from the Commission on Elections transparency servers and have been compiled for the convenience of the public. If anyone notices any errors please do not hesitate to mention this using the comments box at the bottom of this page. You will need a Facebook account to post a comment. Source: Commission on Elections, Republic of the Philippines Official Web Site.